A new roof is quite the expenditure and once you’ve invested in one, you’ll want to make sure you do all you can to protect it. Even if your roof isn’t new, maintaining it will extend its life and keep you from having to endure the cost of replacing it before it is necessary. Here are a few tips to help you get the most out of your roof! 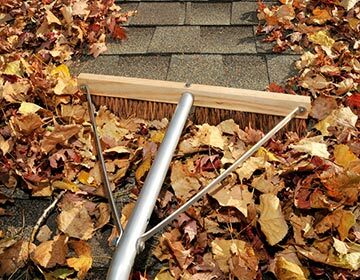 If you have a moderately sloped roof with low surrounding landscaping, accumulating leaves is not a problem you have to deal with. However, if the roof structure is a bit more complicated and you have towering trees nearby, piles of leaves probably collect in roof valleys or near chimneys. If not removed, these leaves trap moisture and gradually decompose, allowing moisture to accumulate inside your roof, or worse, create fertile ground for weeds to grow on. you and the roof to leave it alone. 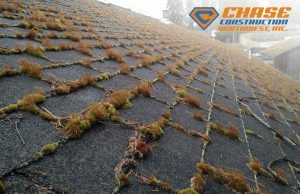 However, if you live in the Northwest, you’re likely to run into instances of moss growing on your roof, particularly on wood or composition shingles. Moss needs to be removed because it traps water and if you catch it early enough, you can just sweep it off. 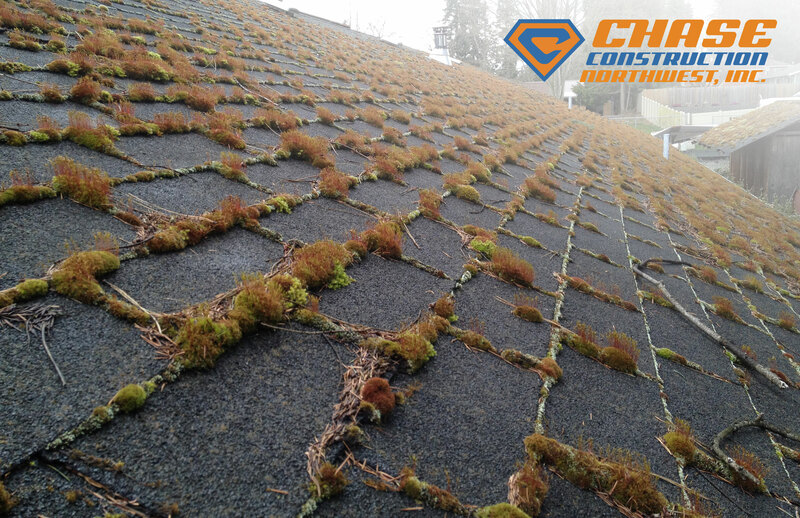 This is a preventative measure that goes a long way toward keeping leaves and moss off your roof, and keeping your roof damage-free. Abrasion from limbs and leaves that sweep against your roof can eventually damage shingles, especially in high wind conditions. Overhanging branches also give squirrels and rodents, that can gnaw on your roof and siding, access to your roof. 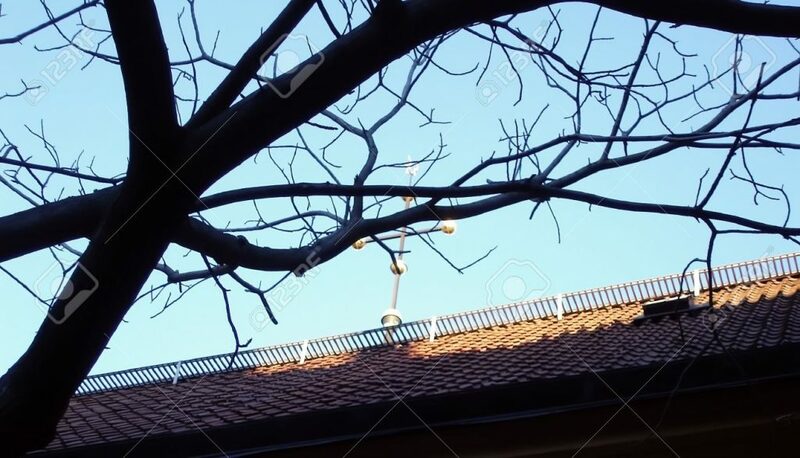 Branches need to be 10 feet away from your roof to prevent this. If you are plagued by ice buildup on your roof, removing partial or whole areas of the snow between storms might forestall leaks into your house. Do not try to pry off ice that is already formed, as this could damage your roof. After every big wind or hail storm, or if you’ve heard scurrying on your roof recently, give your a roof a quick check to make sure everything’s still intact. Make sure to inspect for curling, loose or missing shingles as well as damaged flashing around vents, chimneys, skylights and other openings. 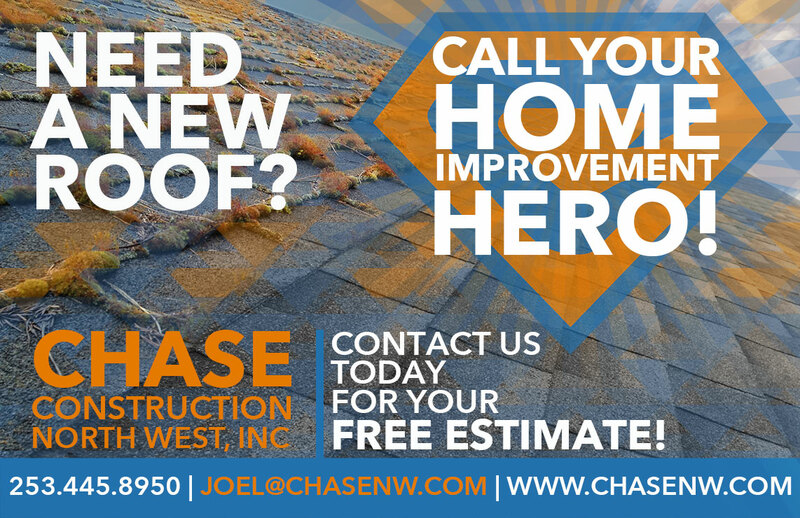 Chase Construction North West Inc. Can Take Care of All Your Roofing Needs ! If anything is amiss after these steps, call Chase Construction North West Inc. today Puget Sound! We have specialized in roofing work for over 13 years and can perform any service you need, whether on a residential or commercial roof. Our reviews speak for themselves and can be found under the various cities listed on our website- Check them out here!. Let us show you we are the ones for the job at one of our free estimates today! We provide services in King County and Pierce County, along with major cities such as Seattle, Tacoma, Puyallup, Federal Way, Renton, Auburn, Des Moines and all of the surrounding cities. Contact us today by filling out our free estimate form or calling us at 253-445-8950. I really appreciate your tip to avoid having any tree branches too close to your roof in high wind conditions. My wife and I recently moved into a neighborhood that gets a lot of wind. I will be sure to tell my wife that we should try and avoid getting any tree branches too close to our roof!